Signature San Francisco is a new boutique hotel, combining trendy style and a classic feel, located in the highly coveted SoMa district. Our guests will experience the laid-back feel of classic Americana combined with mid-century modern design. We provide the latest in hotel amenities and conveniences uniquely blended with an aesthetic design. We think of it as "retro modern." 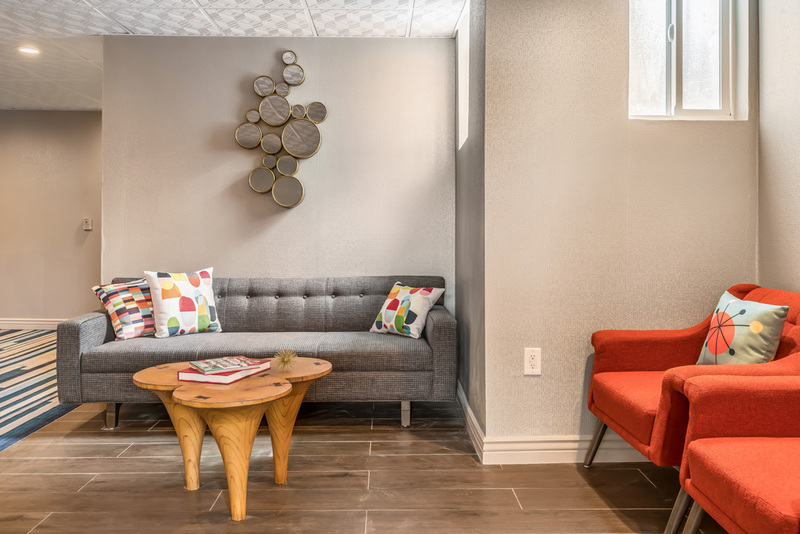 Centrally located in the heart of San Francisco and the SoMa district, the Signature San Francisco is easily accessible off I-80 and 7th Street. Within walking distance to the Moscone Center, AT&T Park, and near the future home of the Golden State Warriors (Chase Center - coming in 2019). We are only one mile from Union Square so you can explore all SoMa has to offer. 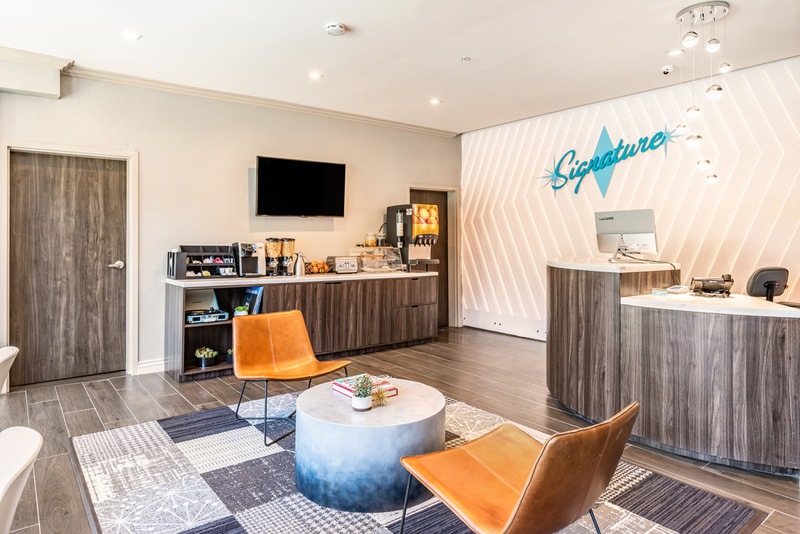 Enjoy all the amenities of home at the new Signature San Francisco in the heart of the trendy and popular SoMa district. Relax, unwind, and enjoy your stay in San Francisco. Please note: We are a two-story hotel with no elevator available. Spend less time waiting for an elevator and more time exploring SOMA. Please notify a staff member if you need assistance taking your bags upstairs. Thank you. Traveling with a large group? Need to block rooms? Reserve your group block of 10 or more guest rooms or meeting space by working directly with our dedicated Sales team. Contact our Sales team at 410-252-7373, ext.707 or send us an email by clicking Email Us.